Cityscapes created an impressive immersive central installation in the inflatable Great Conservatory at the new RHS Chatsworth Flower Show. 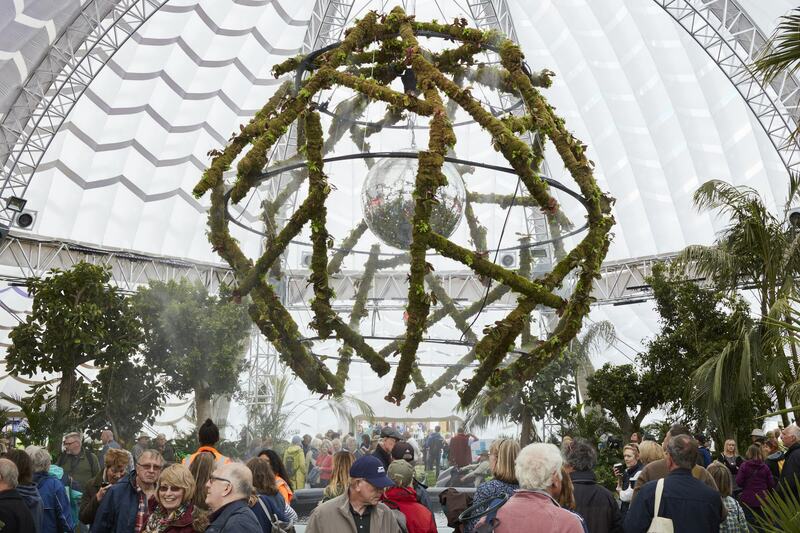 Commissioned by the Royal Horticultural Society, the installation provides the centre piece of the Great Conservatory, at the heart of the show. Heart of Glass, designed by Cityscapes Directors Adolfo Harrison and Darryl Moore, takes a lead from former Chatsworth Head Gardener Joesph Paxton's innovations in horticultural technology, by exploring new creative ways to grow plants using contemporary methods. 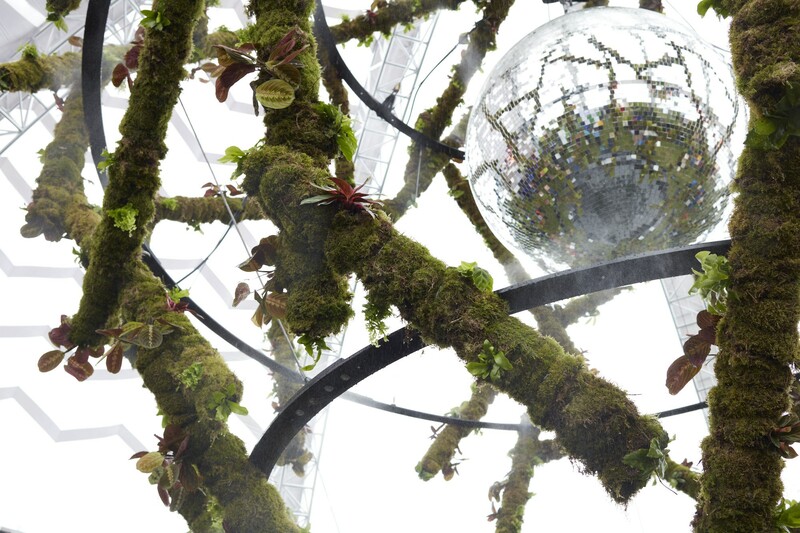 Heart of Glass features a large 6m diameter suspended structural framework covered in plants and moss, creating a living ecosystem, shrouded in a light cloud of mist and bathed in red and blue horticultural lights. 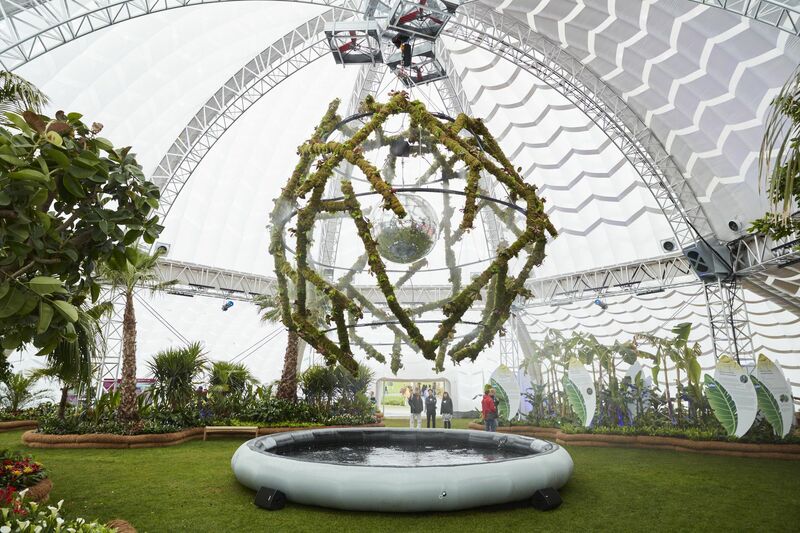 This framework surrounds a central rotating mirror ball reflecting light across the Great Conservatory. A pool below captures dripping condensation and provides a reflective view of the work, whilst a soundtrack created by Cityscapes Director and sound artist Darryl Moore, completes the dynamic sensory environment. 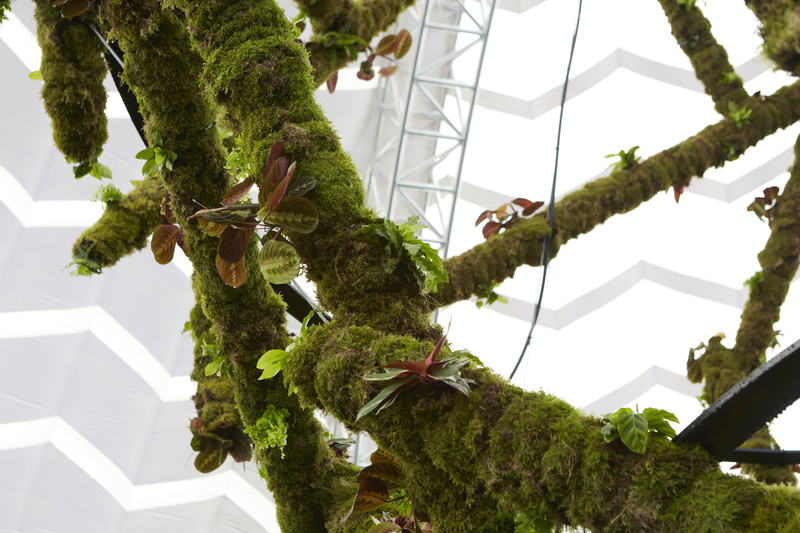 The installation rethinks our relationship with plants, and the ways that we can enhance the beneficial interactions we have with them by using them in innovative ways. Heart of Glass investigates these concerns in a uniquely creative manner, exploring contemporary horticultural technologies, whilst also bringing a touch of disco glamour to the show. Construction of the installation is by living wall specialists Treebox with assistance from Watermatic.